I only started this blog at the end of November last year so due to the award being given for the activities you did in 2009 means I did extremely little and therefore rightly so was no where near being in contention. Since then though I have made a concerted effort to post more and try bring new ideas to the community. With this blog having had almost 3000 individual views so far , 2435 of that being between January to May this year and by the views increasing by at least 200 views every month it gives me hope that I’ll be a much stronger contender for next years if I keep it up. I only started interacting with the virtualisation community late last year via twitter and was only able to attend my first VMUG end of November last year so I still need to make a name for myself and surpassing 300 followers on twitter last week of which over 98% are technical people gives me confidence that I am building a good reputation for myself among my peers and that the opinions and information I post is of interest to people in the IT field. I need to strengthen my blog postings. I’m the first to admit that my blog postings aren’t the best for a few reasons but after having read through my postings even from a few months back I can see that with each posting I feel I’ve become a lot better at it and have learnt from each one.The increased readership I feel is partly due to this refining of my skills. Plain and simple I’m either too busy or just lazy some times and due to this I haven’t been able to give back as much to the VMware communities pages and been able to join the live roundtables as much as I would like to. I plan to change this and hopefully via this be inspired to write more postings ,as one of the reasons I only post every week or so is due to the lack of good material/ideas and therefore I would rather not post up anything rather than some drivel for the sake of posting. My lack of knowledge on the many things VMware does and the technologies that are available and how they work. 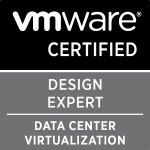 I only became a VCP in VI3 in September last year due to only being able to attend the pre-requisite course a few weeks before and since then I have also obtained the VCP4 accreditation within a month of it becoming available late last year and with a very nice score if i do say so myself. With this ,my knowledge on all the subjects is increasing each day and thereby my blogs can be more knowledgeable and I will have the confidence in my knowledge to write up more postings on certain subjects as the worry of any blogger is that your information is wrong and you have made a fool of yourself by giving out the wrong facts. So if you enjoyed any of my blog postings please link the information to your friends and colleagues and even better if you link to my blog postings via your own blogs if they have helped you this is obviously a brilliant way of getting more traffic to my site and more so bringing my solutions higher in search results so that more people can be helped by them. Congratulations to all the vExperts again and hopefully I’ll be one of you next year. Categories: Virtualisation | Tags: VCP, VCP4, vExpert, VMUG, VMware, VMware vExpert | Permalink.